Peter Leigh is a missionary called to go on the journey of a lifetime. Leaving behind his beloved wife, Bea, he boards a flight for a remote and unfamiliar land, a place where the locals are hungry for the teachings of the Bible - his 'book of strange new things'. It is a quest that will challenge Peter's beliefs, his understanding of the limits of the human body and, most of all, his love for Bea. The Book of Strange New Things is a wildly original tale of adventure, faith and the ties that might hold two people together when they are worlds apart. This momentous novel, Faber's first since The Crimson Petal and the White, sees him at his expectation-defying best. 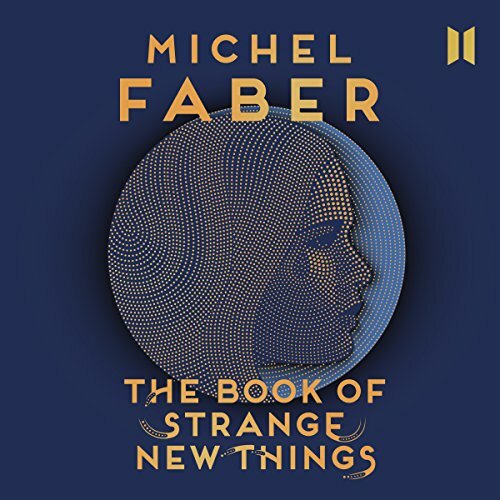 Was hat Ihnen das Hörerlebnis von The Book of Strange New Things besonders unterhaltsam gemacht? das hörbuch ist eine wunderschöne erzählung für leute, die KEINE sci-fi story erwarten. Welches andere Buch würden Sie mit The Book of Strange New Things vergleichen? Warum? schwierig, weil ich kein ähnliches buch je genossen habe. eventuell die bücher von hakuri murakmi? es ist weder eine scifi story, sondern ein buch über religion und selbstfindung, aber ohne belehren zu erscheinen. Absolutly nothing happens in this book. First you wait and hope that the story will start soon, but it doesnt. Then you wait some more and hope that there will be a fascinating twist in the end, but there isnt.